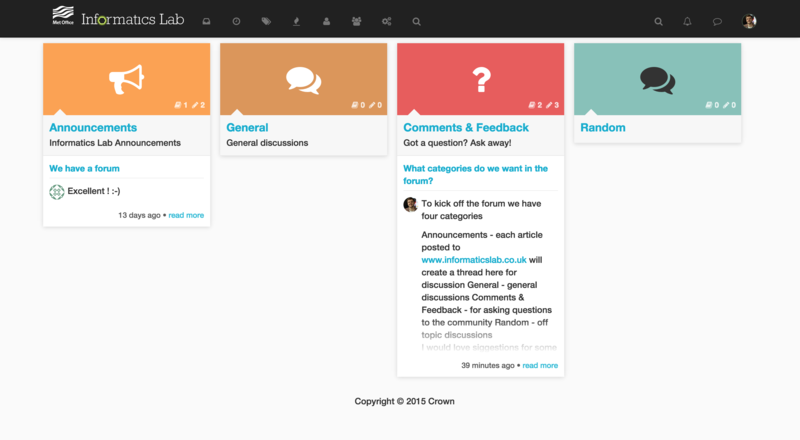 We now have a forum which you can find at community.informaticslab.co.uk! We’ve created this forum to allow open discussion of everything happening in the lab. Anyone is welcome to sign up and join in the conversation. The forum is built with NodeBB and uses our own custom theme which anyone can contribute to, so if you want to make the forum even better then open a pull request there.